Flex-Tail Minnows. ( Wet ). 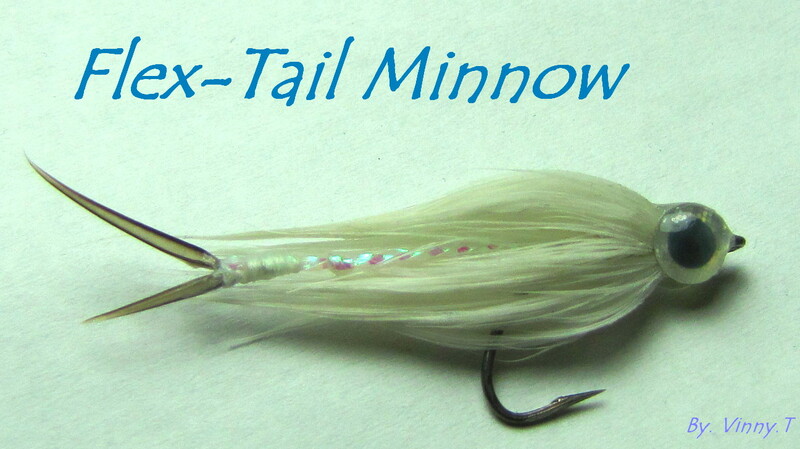 This is one of my recent fly creation and is call the Flex-Tail Minnows. 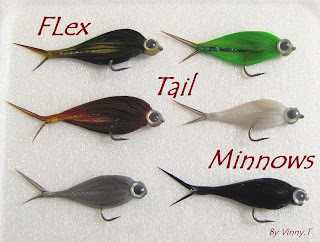 I notice a lot of bait fish patterns out there doesn't have any tails and a minnow isn't a minnow without a tail, it just doesn't seem to look right to me. So I came up with an idea to make a simple fish tail with goose biots & some flash materials. 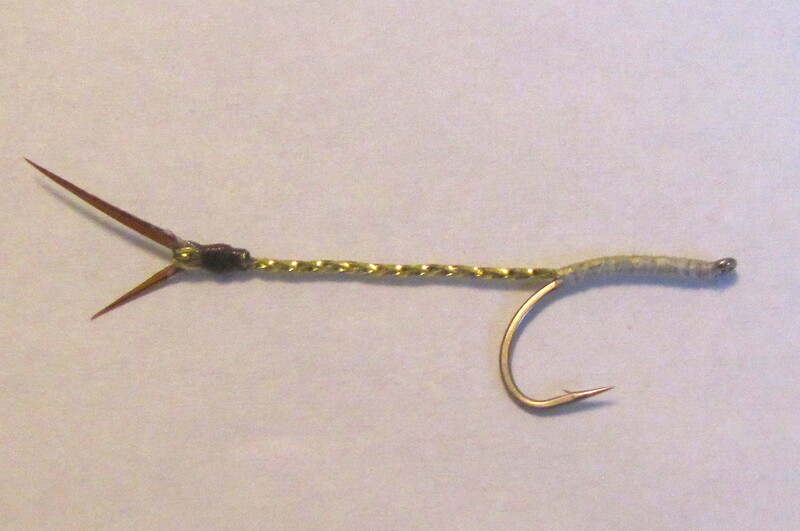 I'm pretty happy with the result of this new bait fish patterns and I can't wait until the season open to try it out. 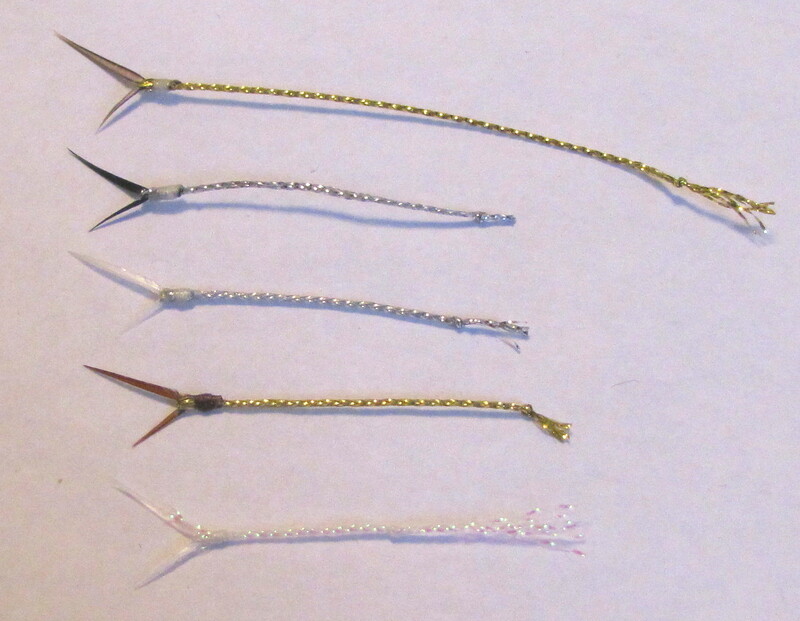 I've posted the tying steps below for all you bait fish patterns lover out there.! Step #1. 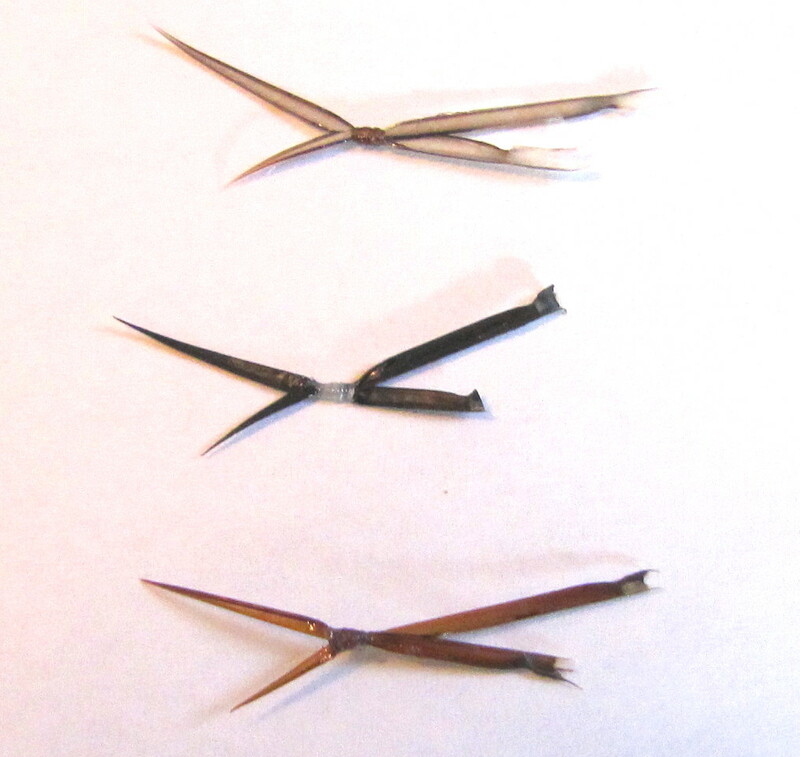 Get 2 goose biot fibres and hold them with your index finger & thumb. Have the biot in a x position, 1 biot should be a bit longer than the other and make a few thread wraps with the bobbin and whip finish. Step #2. 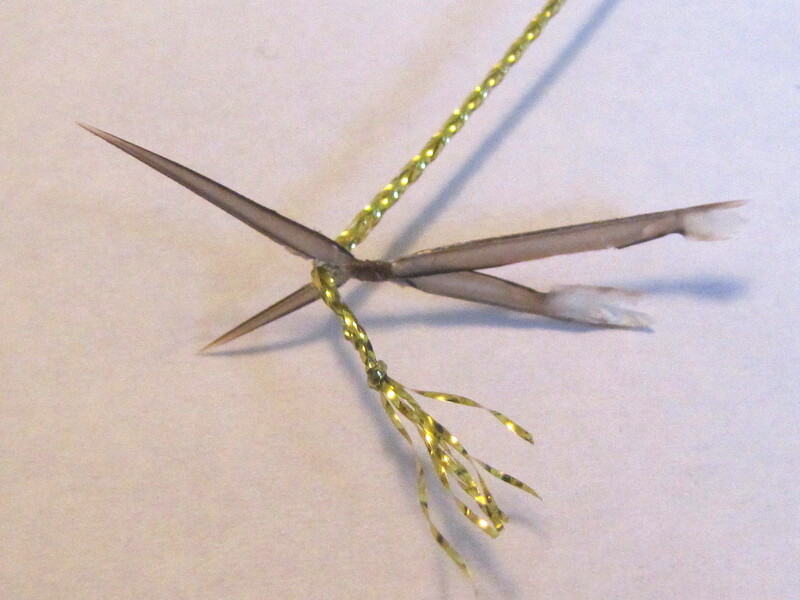 Wrap the flash material between the biot and make a few tight thread wraps & whip finish. Cut off any extra flash material on the tag end. 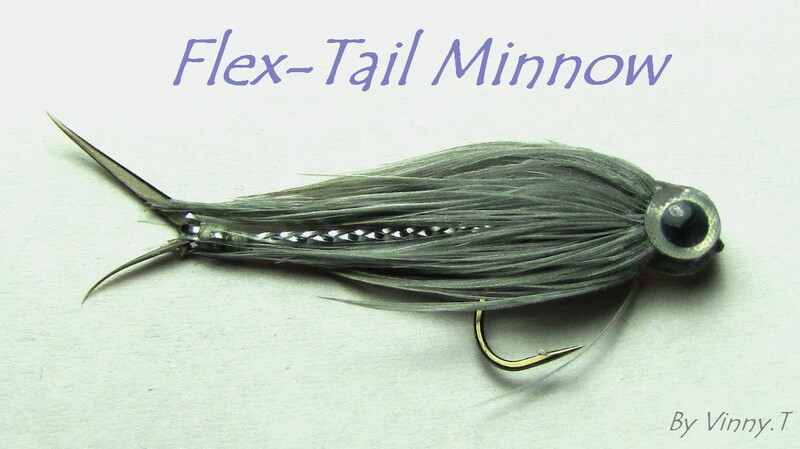 It should look like this and the flex tail is ready to be tie on to a hook. Cote a layer of head cement to the tie off area just for the sake of durability. Step #3. Tie tail to hook. Length of the tail is determine by the type of hackle you use. But can be sub with dye mallard, Hen, Schlappen or marabou etc. Steps #4. Tie in a small bunch of fox tail fibres. Extra flash can be added. Once again materials can be sub with others. 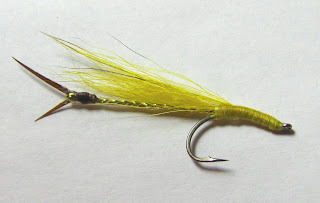 Tying steps #5. 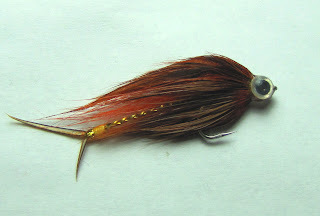 Tie in the back end of a large schlappen feathers and start to palmer feather up the hook shank & whip finish. Make sure the feather fibres doesn't extend past the tail. 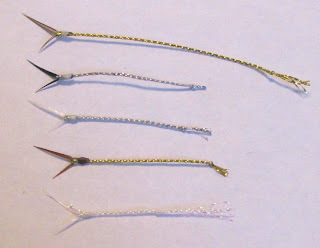 More than 1 feather can be used, as long as the hook shank is cover. Remember to leave some room near the hook eye for adding fish eyes later on. 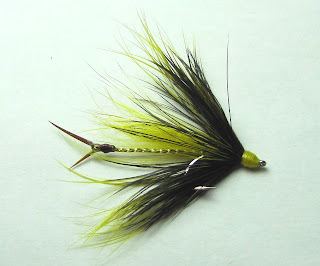 Tying steps #6. Stick on 2 holographic fish eyes and cover top & bottom with some UV resin, cote eyes with a layer of head cement. The Flex Tail Minnows is complete.! 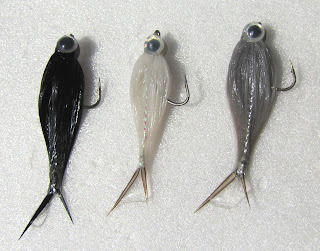 When this bait fish patterns get wet, the flash really shine through. Very cool idea. Thanks for sharing it. That's an amazing idea! 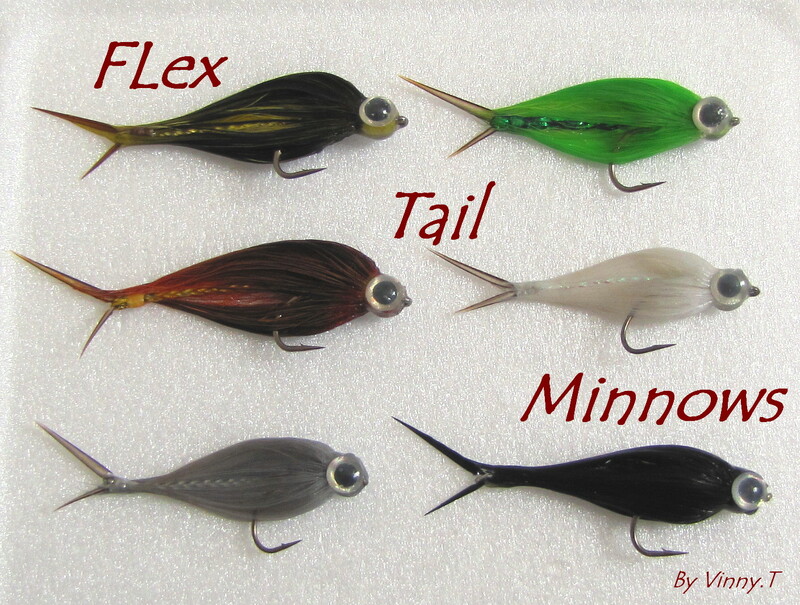 Very cool way to give flies tails. Nice idea! I'm going to give it a try. Thanks for posting this.